Would you like to live in space? Why or why not? If you visited the International Space Station now, which issue would bother you the most: small living quarters or the continuous light, sound and surveillance? Why? According to the article, BEAM isn't intended to be used as living quarters. Why do you think that is? 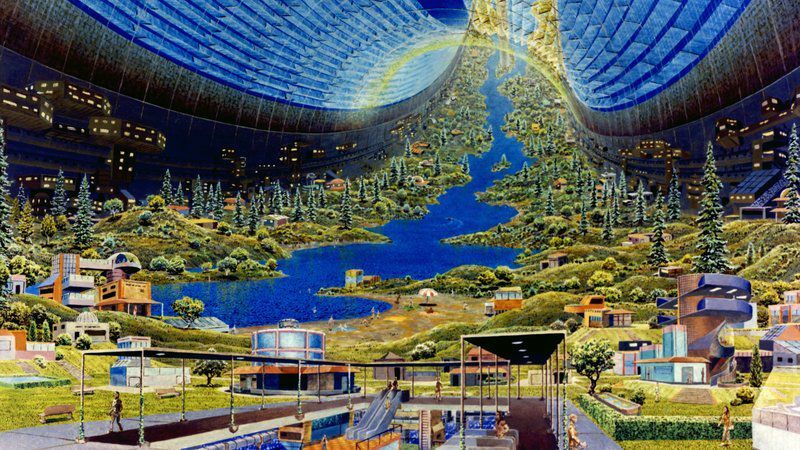 Do you think space hotels will ever become a reality? Why or why not? Remind students about the article's description of life on the International Space Station. Crews sleep in phone booth-sized beds. They are "assaulted by continuous light, sound and surveillance." Have the class compare this reality to outer space living conditions on TV shows or movies they've seen. Point out that TV shows and movies about outer space are examples of science fiction. Inform students that in order for stories like these to succeed, they have to have enough real science mixed in with the fiction for the plot to be believable. Have students conduct research to learn more about the current projections for space travel. Challenge them to identify different options that have been put forward and the anticipated timelines for completing various projects. Instruct students to use what they learned to write a science fiction story about living in space. Challenge them to find a creative mix between the science and the fiction in their tale. Invite students to read their stories aloud to the class. Challenge classmates to identify the facts and the fiction in each story. Conduct research about space travel as a class. Then divide the class into small groups. Instruct each group to select one idea or projection about space travel. Challenge them to use that idea as the central theme in their plot. Divide the class into small groups. Instruct groups to conduct research about space travel. Challenge groups to use one idea or projection about space travel as the central theme in their plot. Divide the class into pairs. Have partners conduct research about space travel. Then instruct them to write a science fiction story based on one overall idea or projection about space travel. Challenge them to incorporate additional facts to make the story as believable as possible. Divide the class into pairs. Have partners conduct research about space travel. Then instruct them to write a science fiction story that includes two or more overall ideas or projections about space travel. Challenge them to incorporate additional facts that relate to modes of transportation, living conditions, obtaining food and communication. Invite students to visit this site to learn how NASA is using technology to advance its space exploration, science, and aeronautics capabilities. This unit from the Smithsonian Astrophysical Observatory, in cooperation with NASA, utilizes activities, videos and an online interactive to help students explore the vastness of space. Examine this National Air and Space Museum exhibit to learn all about the race to space and early missions to the moon. Watch these videos to see how experiences of the first astronauts are helping engineers create new technology to overcome the biggest obstacle to long-term space travel: our human bodies. Read this Smithsonian article to view NASA’s newest posters promoting the travel craze of the future—outer space!